This stained glass mobile features a large 3-1/2" red glass circles with red and orange water yellow glass circles as counter weights. 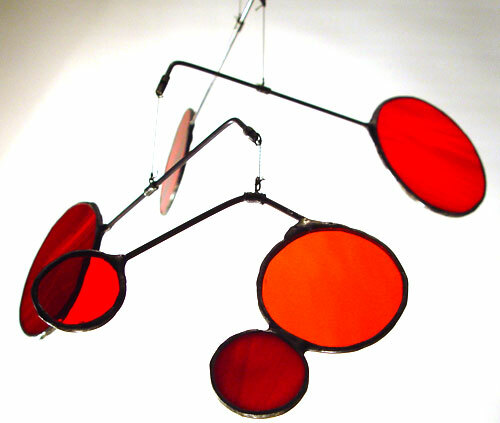 The bright glass circles are cut and suspended to steel arms. The largest arm length is 8 inches. This stained glass mobile height is approximately 20 inches. Hang this mobile in your bedroom window and enjoy the bright reds and oranges in the morning.